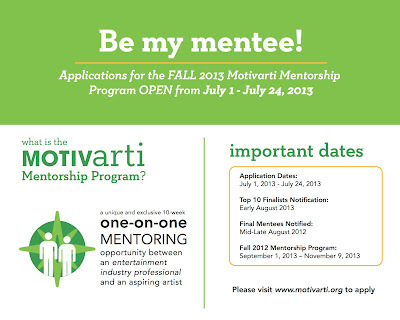 Hey, I'm very pleased to announce that I'm returning for the Fall semester of the Motivarti 10 week mentorship program! Apply! I'd love to work with you. Applications run from July 1st - July 24th.